Menshikovite: Mineral information, data and localities. Named in honor of Yuriy Pavlovich Men'shikov (Юрия Павловича Меньшикова) (28 December 1934, Sayda-Guba, Murmansk - 21 March 2013) famous Russian mineralogist and roentgenoscopist from Apatity. 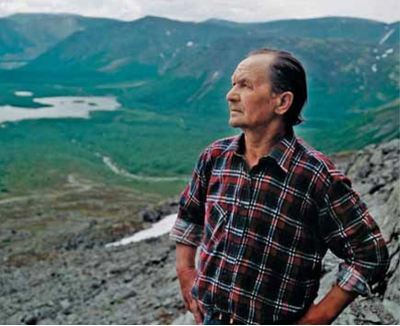 He worked at the Geological Institute of the KF USSR Academy of Sciences (KSC RAS) and made mineralogical studies of the Kovdorsky, Lovozersky, and Khibinsky mountain ranges and other geological objects on the Kola Peninsula. He described or co-described 50 new minerals. This page provides mineralogical data about Menshikovite. Weak mosaic-like, light grey to brownish grey. Graph shows reflectance levels at different wavelengths (in nm). Top of box is 100%. Peak reflectance is 58.7%. Pink with slight greyish tint. Pod of coarse-grained, entirely altered gabbronorite rich in sulfides, and hosted by a microgabbronorite. The cotype locality is quartz–feldspar sandstones, which are metasomatically altered and recrystallized. Barkov, A.Y., Martin, R.F., Pakhomovsky, Y.A., Tolstykh, N.D., and Krivenko, A.P. (2002) Menshikovite, Pd3Ni2As3, a new platinum-group mineral species from two layered complexes, Russia. Canadian Mineralogist: 40: 679-692. Jambor, J.L. and Roberts, A.C. (2001) New mineral names. American Mineralogist: 86: 197-200.; Grokhovskaya, T.L., Griboedova, I.G., and Karimova, O.V. (2014) Diversity of PGM Assemblages in Pge Deposits of the Monchegorsk Igneous Complex, Russia. 12th International Platinum Symposium, p. 249. Can Min (2002) 40, (2), 679-692.